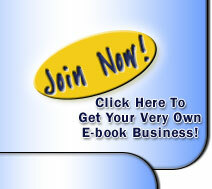 Your e-Book will be delivered electronically via email to your primary PayPal email address. The e-Books are usually delivered INSTANTLY once payment is recieved. If you dont recieve anything within 12 hours please contact us. You can download single item purchases by clicking here. My e-Book has not arrived? If you do not receive your e-Book check your spam/trash folder. It will probably be there. If not make sure you adjust your spam filter settings then contact us.